When Sun City Anthem opened in 1999, it broke the mold for active adult communities, built specifically for those age 55 and better. Today, Sun City Anthem is recognized as the benchmark for active adult lifestyle communities world-wide, for those age 55 and better. It’s dramatic city views, world-class recreation facilities and spectacular amenities demonstrate attention to even the smallest details. Sun City Anthem is located in the southeast, in Henderson, south of Lake Mead Blvd and straight up Eastern Ave (south). Homes range from just under 1100 sq. ft. over 3,000. Amenities include one very large community center, two completed golf courses and tennis courts. The golf courses are not owned by the homeowners, but green fees for residents are less than for the general public and residents have a priority on tee times. Over 6,000 residents have chosen the splendor of Sun City Anthem since it’s opening. Now, under 60 homesites remain. The best-of-the-best is in it’s final months of sales. Siena is a 665-acre active adult community village located in the southwest portion of the Vegas Valley for individuals ages 50+. 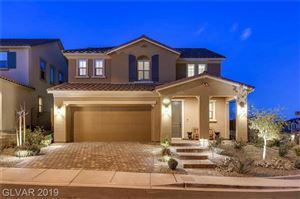 The village features 1,900 luxury single-story homes including villas, an 18-hole golf course designed by Schmidt-Curley of Scottsdale, Arizona, and Lake Siena, a quarter-mile man-made water feature with cascading waterfalls. Enjoy the best in resort living! This guard -gated community also feauteres The Golf Clubhouse, community center that’s a hub for social and club activities, and a 15,900 square-foot state-of-the-art health & fitness center as well as a variety of other recreational amenities. This 2,400 acre community was completed by Del Webb in 1998. There were 7,779 homes constructed which house over 14,000 residents. 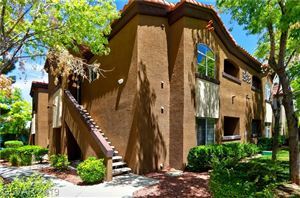 It is located in the northwest with an approximate 20 to 25 minute commute to the strip and airport. This community took approximately 10 years to complete. Sizes of homes range from 2 bedroom, 1 bath under 1100 sq. ft. to 3 bedrooms at over 3,000 sq. ft. There are normally between 80 and 100 resale homes available. This is a very small number considering the total number of homes and reflects a high demand for this product and community. The amenities include a total of 5 pools, 2 of which are indoor, 3 out, 3 golf courses, hobby rooms, tennis courts, a racquetball court, 3 restaurants, 4 community centers, miniature golf and really, the list goes on and on. The golf courses are homeowner owned as opposed to Siena and Sun City Anthem where this is not the case. In terms of amenities, we would rate this community number one with more of just about everything. More tennis courts, hobby rooms, pools, and community centers. The local infrastructure is in place, with lots of convenient shopping and services. Note: With the downsizing of Sun City Anthem, Sun City Summerlin will be far and away the largest of the local age restricted communities. It does, in our opinion, offer much more in the way of common area amenities. It does not seem likely that there will ever be a local age restricted community that will offer the combination of services and amenities that are found here. Sun City MacDonald Ranch is located in southeast, just east of Green Valley Parkway and south of the I 215. It is approximately 15 minutes from the strip and airport. It is nestled up against the Black Mountains. Amenities include a 18 hole golf course, recreation center, tennis, jogging, and swimming (outdoor pool only). At approximately 2,400 homes it is by far Del Webb’s smallest local age restricted community. Homes range from under 1100 sq. ft. to around 2,200 sq. ft. The golf course is an executive course with very low green fee’s for the residents. Along with Sun City Summerlin it is distinguished by the fact that the golf course in owned by the homeowner’s. This is not the case at Siena or at Sun City Anthem. If you have an interest in this retirement community, call or e-mail and we will forward to you by e-mail or snail mail listing information and photos of homes for sale in this community.